Just got back from SN flight TG427 (meaning observation flight) to Brunei's Bandar Seri Begawan. 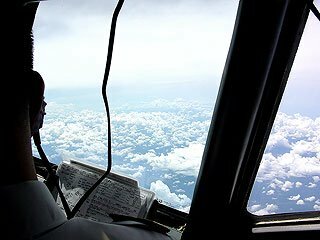 It was nice to see pilots working in real environment. This flight left BKK at 9:45am and return to BKK at 4:45 pm. By the way, on Friday I went on TG215 Bangkok-Phuket-Bangkok. It was a night flight so I didn't take any pictures. 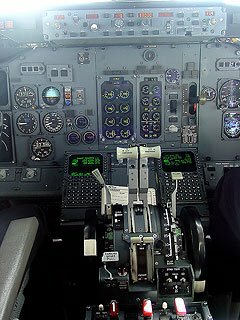 Cockpit instruments seen from my seat.